When asked to participate in the Sleek MakeUP #YourSleekLove campaign and to choose my favourite Sleek MakeUP product it wasn't hard because the one thing I always find the most useful for myself is their "Pout Paints", without a doubt! I create most of my lip colours from these little tubes. Nothing beats something that is unique & what your feeling to wear that very day. I've done a few posts featuring pout paints in action Purple Lips, Different Colour Combinations & Make Your Own Tutorial. What are your Valentine’s Beauty Top Tips? Encentuate your favourite feature. Make your lipstick last all evening & night. Make good use of your lip liner, layer up your lipstick -blot and set. Be bold with your lips or play up your eyes, I adore brown smokey eyes, let that gaze be more of a love struck moment. That is a toughies,it has to be the pallettes! I love the look of these Pout Paints! I've never tried them, but I definitely want to now. I love their Pout Paints too! So pigmented and they last for such a long time! Mine is and will probably always be their blushes. That colour looks fab on you! You've reminded me I have some pout paints that I haven't tried yet! Holy moly! You look smoking hot in that picture! 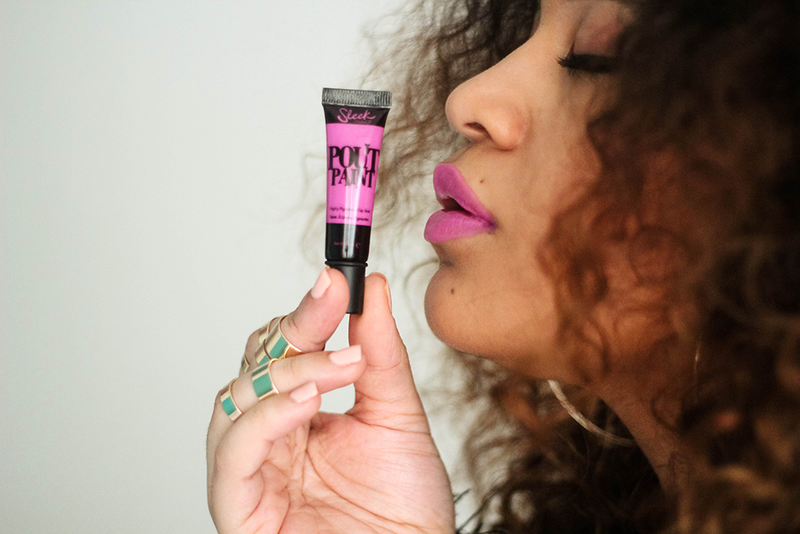 Love the pout paints however can't seem to find them in stores anymore?